Orlando / Kissimmee är en perfekt plats att utgå ifrån om man vill se på sport av högsta nivå. Huset ligger på rätt sida om Orlando med nära transport till Tampa. Nedan följer information om de mest populära sporterna. Klicka på bilderna nedan för att komma till varje lags hemsida. MLB Baseball - Grundspel apr.-sept., World Series -okt. 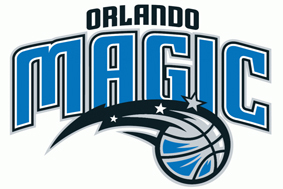 The Orlando Magic is an American professional basketball team based in Orlando, Florida. They are part of the Southeast Division of the Eastern Conference in the National Basketball Association (NBA). The franchise was established in 1989 as an expansion franchise, and has had such notable NBA stars such as Shaquille O'Neal, Penny Hardaway, Grant Hill, Tracy McGrady, Steve Francis, Dwight Howard, and Rashard Lewis throughout its young history. Orlando has been the second most successful of the four expansion teams brought into the league in 1988 and 1989 in terms of winning percentage, after the Miami Heat. As of 2012, they are the only team in the "big four" sports leagues to play in the city of Orlando. They defeated the rival Boston Red Sox to win the American League Championship, but lost to the National League champion Philadelphia Phillies in that year's World Series. 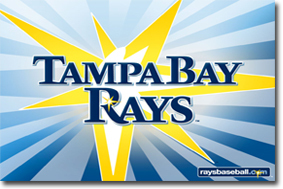 Since then, the Rays won their second AL East championship in 2010, and qualified for the postseason as a wild card team in 2011. They are members of the Atlantic Division of the Eastern Conference of the National Hockey League (NHL). They have one Stanley Cup championship in their history, in 2003–04. 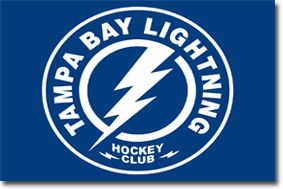 They are often referred to as the Bolts, and the nickname is used on their current third jersey. They play their home games in the Tampa Bay Times Forum in Tampa. 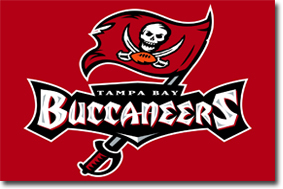 The Tampa Bay Buccaneers (often shortened as the Bucs) are a professional American football franchise based in TamThe Tampa Bay Buccaneers (often shortened as the Bucs) are a professional American football franchise based in Tampa, Florida, U.S. They are currently members of the South Division of the National Football Conference (NFC) in the National Football League (NFL) – they are the only team in the division not to come from the old NFC West. The team, along with the Seattle Seahawks, joined the NFL in 1976 as an expansion team. The Bucs played their first season in the AFC West as part of the 1976 expansion plan. After the season, they switched conferences with the Seattle Seahawks and became part of the NFC.pa, Florida, U.S. The Knights football team won conference championships in 2007and 2010. 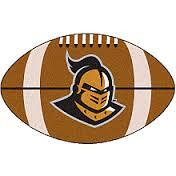 College football -Central Florida Golden Knights Football. Each season, thousands of Central Florida football fans flock to Bright House Networks Stadium to cheer on the team as it chases yet another postseason bowl bid. 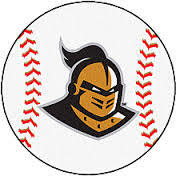 ORLANDO, Fla. (UCFKnights.com) – UCF head baseball coach Terry Rooney and his staff hit the recruiting road hard this summer to secure 24 newcomers in the 2013-14 class. Heading into his sixth season with the program, Rooney announced the new enrollees on Wednesday with 14 players hailing from the Sunshine State.